It’s one thing to be sick and tired. And another to be sick and tired. We see or read in the news often how broken this country’s health care system is. As politicians argue over government’s involvement – and fail to agree on solutions – the cost of health insurance is rising for many. And there are plenty of families, right here in Charlotte, who can’t afford health insurance, which means they don’t have adequate access to medical services. It’s estimated that more than 170,000 people in Mecklenburg County are uninsured. This month, the Smith Family Wellness Center begins taking steps to do its part to address the huge needs of the community it’s serving. 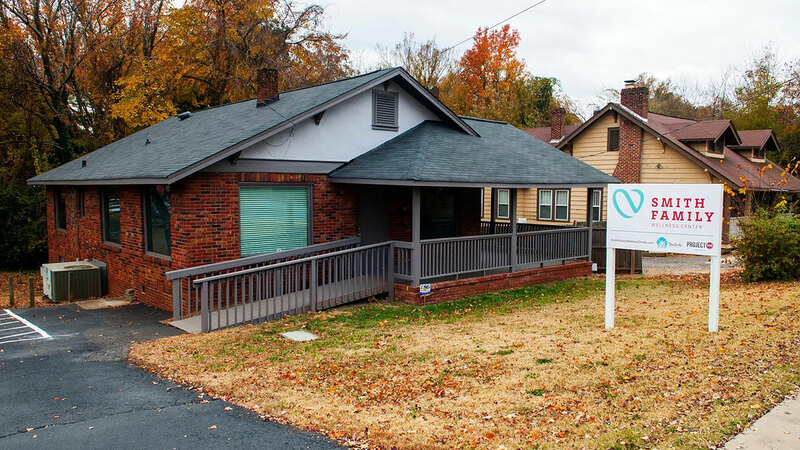 Located on Central Avenue, the newly opened wellness center is adjacent to Project 658, a Christian-based organization and ministry that provides services for at-risk families in Charlotte. The Project 658 sign is easily recognizable from the street, for the thousands of people who drive along Central Avenue every day, though its facility sits far back, behind a huge parking lot (the lot and building were for a roller skating rink several years ago). The Smith Family Wellness Center, of which Project 658 is a partner, sits at the street, so it’s directly on Central. It’s a modest building, formerly the office of a small business that made dentures. The building has been renovated and brought to life, led by the primary organization behind it: the Steve Smith Family Foundation. Sure, “Steve Smith” is a rather common name. But your assumption is correct: it’s the Steve Smith; our Steve Smith; actually, Steve Smith Sr., as he’s begun going by in recent years. Smith may have been gone from the Carolina Panthers for nearly three years – this is his third season with the Baltimore Ravens – but he continues to make Charlotte his home, and his organization, which he founded with wife Angie, continues to do important charity work here. 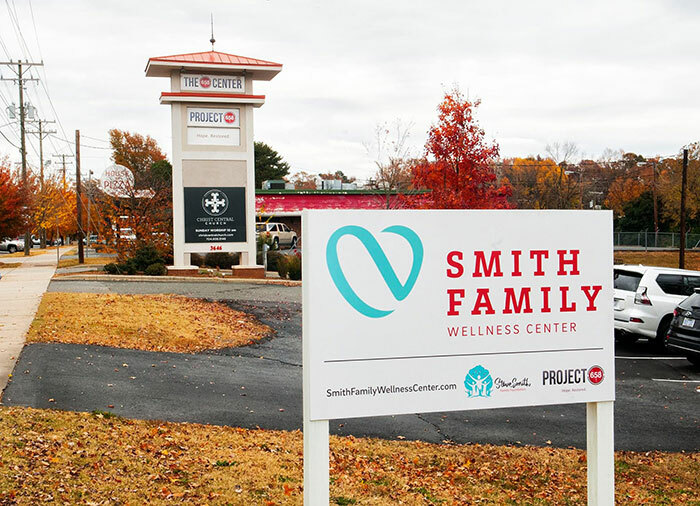 The wellness center is the evolution of Smith and his family’s involvement in the community. So, what will the Smith Family Wellness Center do? The foundation recognized the huge need in east Charlotte for low-income families, many of them refugees and immigrants, along with native Charlotteans who’ve lived in poverty all their lives. The plans earlier this year were to tear down the existing building and begin new construction from the ground up. But they realized how many people they wouldn’t be able to serve during that time. So, around the beginning of fall, they began a two-month renovation to the current structure. The center will begin slowly, open to the public the second Saturday of every month – this Saturday, December 10, will be its first time; and open on Wednesdays by appointment only. It will offer free medical care from licensed physicians during those times. Smith wants to see it grow to be open more days a week in the near future. And each quarter it will host free dental clinics. 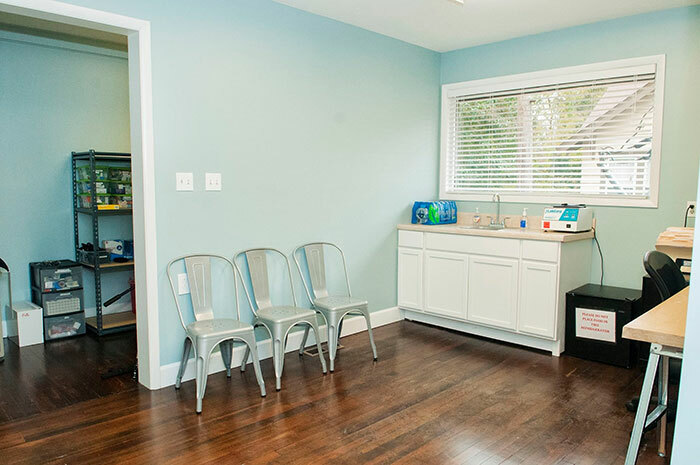 Another major component of the ongoing services being offered at the center is counseling. Smith believes the counseling aspect will help address the cause that’s most dear to him: ending domestic violence. A lot of the good Smith seeks to do today is, in fact, shaped by his childhood experiences, growing up in poverty in Los Angeles. And realizing his kids’ experiences are much more privileged. Charlotte is lucky to have Smith continue to be active in the community here. He also does a lot in Baltimore, particularly during the NFL season. On the Steve Smith Family Foundation’s Facebook page you’ll see photos and videos of many of his recent contributions in B-more. On Wednesday, he was announced as the Ravens’ nominee for the Walter Payton NFL Man of the Year Award (each NFL team nominates one player, and then three finalists will be selected). He’s also currently a nominee for the USAA Salute to Service Award. Both awards will be announced during NFL Honors, the night before the Super Bowl in February. “Geographically, my job has changed, but the need hasn’t,” Smith says.